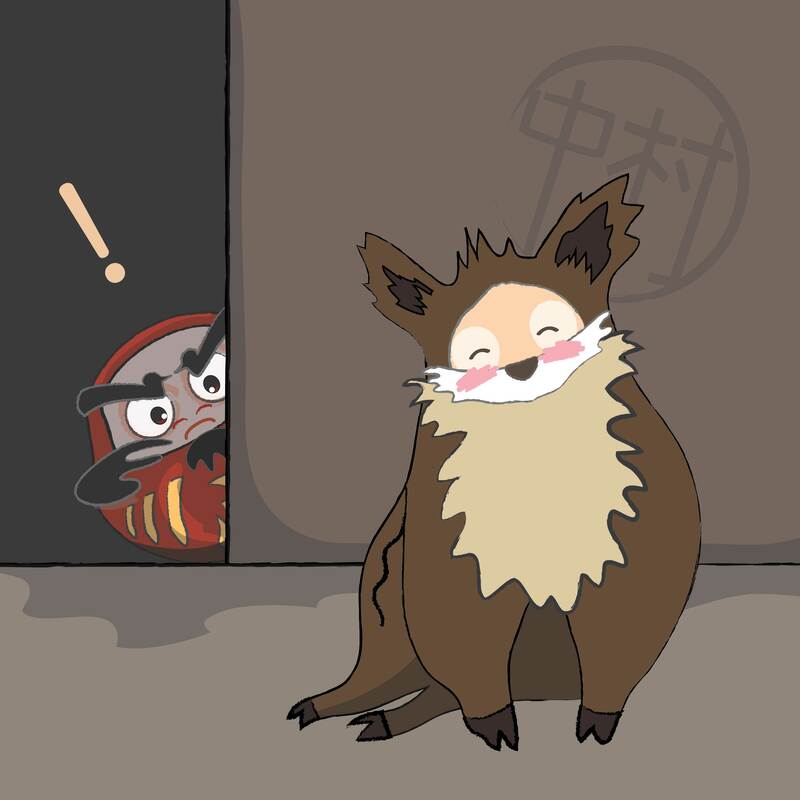 After Setsubun (the eve of spring and the new lunar year), Kiku new that the Chinese New Year began soon after1 and asked Boss Panda what the animal of 2019 would be. 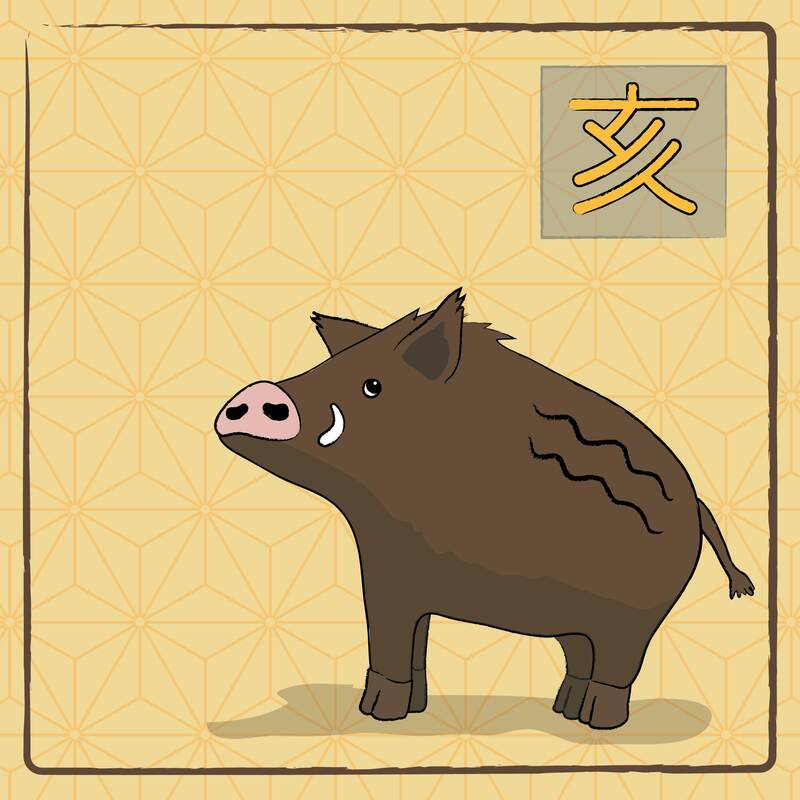 “Next up is the year of the pig in China”, explained the old bear, “but in Japan, it is known as the year of the wild boar, an animal whose numbers are now on the rise in rural areas, and often in the news for causing havoc. Due to decreasing human populations in some parts of the country, the boars move in in search of food and are often known to charge or bite people”. “In Japanese, a wild boar is ‘inoshishi’, normally written as ‘猪’ in kanji. In the Japanese Zodiac, however, it is often called “ii” and is written as 亥, so the year of the boar is known as Iidoshi (亥年)”, explained Boss Panda. “And, as the year of the boar is the last in the Chinese zodiac’s animal years, it can be seen as a time to tie up loose ends, and finish uncompleted projects.” Kiku looked thoughtful at this last piece of information. Pigs are honest, hard working and enthusiastic but can be a little materialistic and short tempered, often charging in to situations. 1The New Year in Japan is now celebrated at the beginning of January according to the Gregorian calendar (after the Japanese moved to this calendar in 1873), but Japanese people still mark the beginning of the lunar New Year with the setsubun rituals and customs. In Japan this used to be celebrated the day before Chinese New Year, but these days it has been fixed as February 3rd, rather than moving along with the date of the actual Chinese New Year. The beginning of the lunar New Year as celebrated in China is not a public holiday, and only really celebrated in places like Yokohama’s Chinatown. The zodiac animals are still recognised each year (for example on New Year greetings cards), and people also buy objects or themed items that represent the current year, such as hariko* figures, stationery and foods with special packaging. *Hariko is the Japanese term for a folk craft similar to papier-mâché that differs from region to region – layers of washi paper are pasted either over or into a mould or over wooden frames before being painted with gofun (a type of whitewash made with the powder from oyster shells) and glue and then colour.